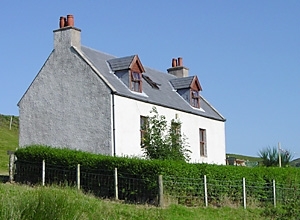 Bungalow and renovated cottages enjoying a remote setting with dramatic views of Eigg and the small Isles. Farm nearby, roughish track for 150 metres. 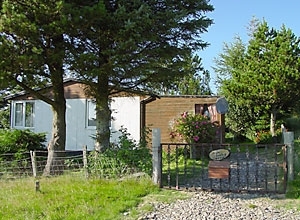 This small, secluded bungalow has superb views to the West and Inner Hebrides and a truly peaceful situation. There is a utility room, kitchen, lounge/dining room, bathroom, one double and one twin bedroom. A small sun porch leads out to a patio and pretty garden. Sleeps four people comfortably. A recently modernised croft house with an attractive split level design. On the ground floor you will find one twin-bedded room, bathroom and kitchen/dining room. This leads to the mezzanine level, where a large lounge with patio offers magnificent views of the West and Inner Hebrides. Upstairs there is a further twin-bedded room, and a double bedroom with en-suite facilities. 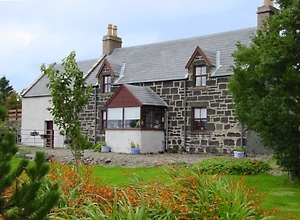 Six people may be accommodated.Sruthan Ruadh has a large garden area ideal for children and dogs to play in, with wonderful views. A recently modernised croft house, on the hillside above a beautiful wooded burn. A kitchen/dining room, bathroom and lounge are neatly grouped on the ground floor, with one twin-bedded room and one double bedroom upstairs. Four people can be accommodated comfortably.Burnside looks out upon a wooded burn and the hills, while the garden has lovely views to the sea.